From Deadpool and Rogue One: A Star Wars Story to Blade Runner 2049 and Game of Thrones, Atomic Fiction has contributed to some of the most striking films and TV series of recent years. The studio has grown into a multi-facility force since bursting into the VFX industry scene in 2010, conjuring such magical effects as Joseph Gordon Levitt carefully balancing on a high-wire between the World Trade Center buildings and Ghost in the Shell’s futuristic neo-Hong Kong cityscapes. But while Atomic Fiction has done incredible work in the past, it’s also working on some of the most visually exciting projects planned for release in the coming months. The studio is reimagining Stan Winston’s interplanetary hunter for 20th Century Fox’s The Predator, and once again collaborating with VFX-savvy director Robert Zemeckis on the dazzling Welcome to Marwen, which transforms Steve Carell and his fellow actors into glossy, plastic dolls. What sets Atomic Fiction apart? 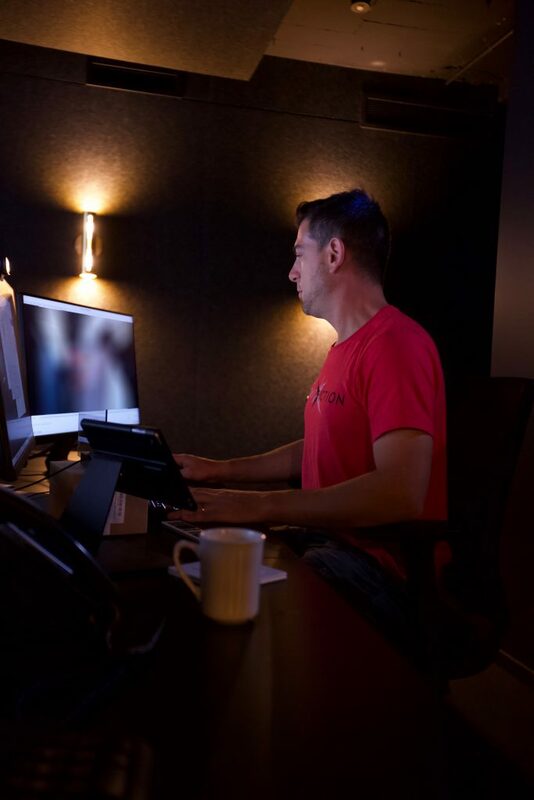 According to Ruslan Borysov, DFX supervisor at Atomic Fiction’s Montreal facility, it’s a mix of a small-team culture and high-end technical ability that helps this constantly growing studio hang with the long-established heavyweights. Another reason for this continued success is cineSync. The remote review and approval solution is used on every project that passes through Atomic Fiction’s doors. cineSync enables the studio’s skilled artists to collaborate with clients and other VFX facilities via its powerful tool set, empowering them to draw and sketch atop shots in real-time with a mouse or Wacom tablet. By connecting with clients via cineSync, Atomic Fiction can deliver to the exemplary level it does, in both content quality and in meeting client expectations. 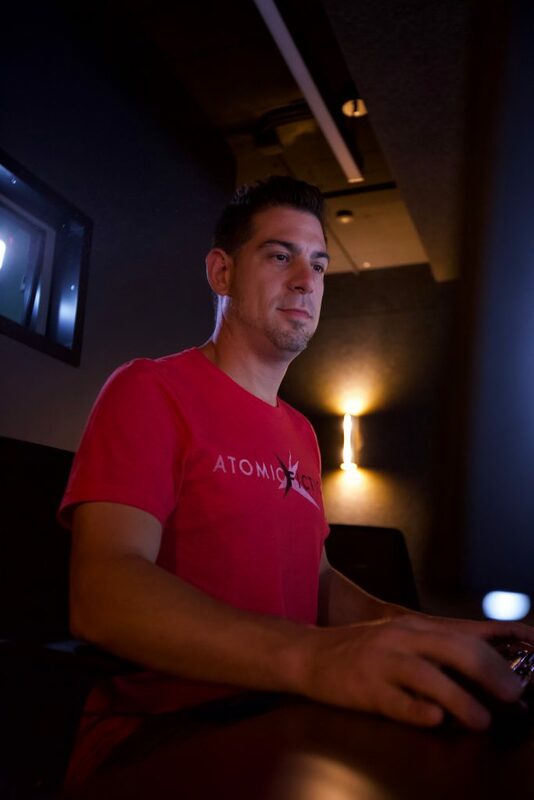 Borysov has been a cineSync evangelist for years, having used the tools when working at MPC, so he was well-prepared to lead review sessions when he joined Atomic Fiction earlier this year. 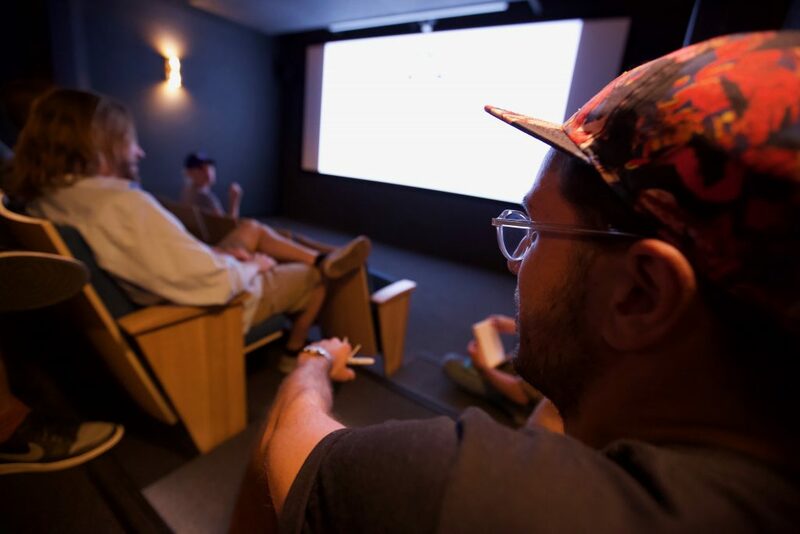 His team typically uses cineSync up to three times a week for client review sessions, which are held in a top-of-the-range screening room. Unlike some larger studios, where reviews are for the top brass only, Atomic Fiction’s artists directly participate in the collaborative review process with clients. They’re empowered to share their first-hand expertise rather than receiving second-hand feedback from supervisors acting as intermediaries. 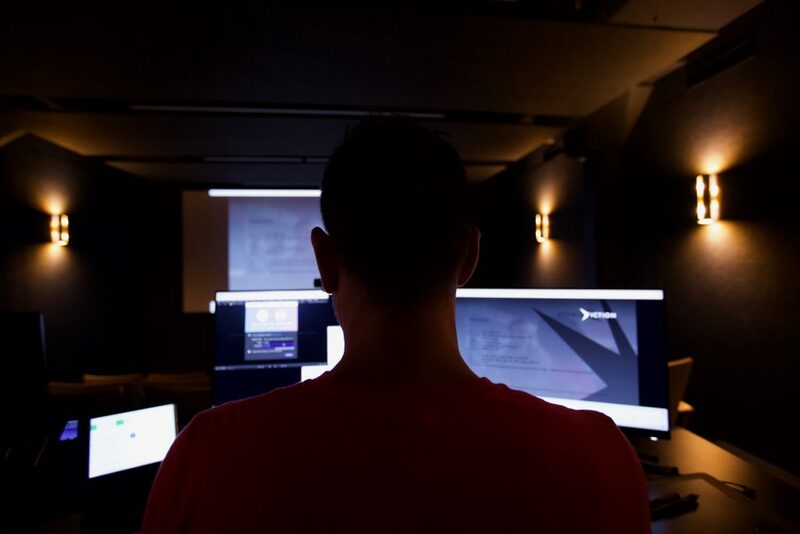 Borysov often has as many as 21 artists in a cineSync session alongside production supervisors, which makes the screening room setting so ideal. “That’s one of the big advantages of Atomic Fiction,” he says. “The artists are more involved in the client discussions and they have more input—it’s not just supervisors. 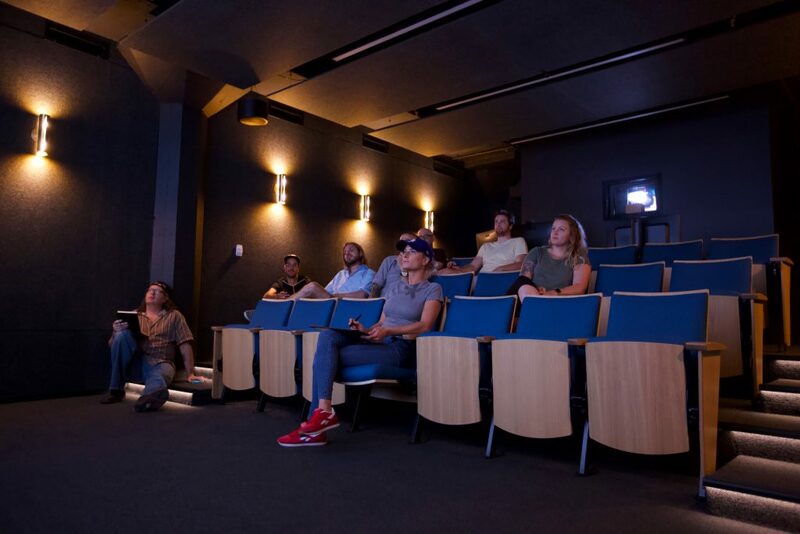 By doing cineSync sessions in the theater, we can definitely fit more people in there and give our front-line artists the ability to share ideas and receive instantly understandable visual feedback. The ability to draw on shots to direct tweaks and changes is Borysov’s favorite cineSync feature. In his view, it also allows clients to leave more specific, actionable feedback during sessions. “It’s really helpful to see the exact area of the shot that the client is leaving notes on. Sometimes, when notes are given about a specific element, but there are multiple elements in the same shot, it’s very hard to understand what exactly the client is talking about,” he explains. Borysov also makes consistent use of cineSync’s Wacom tablet support, which enables him to deliver faster and more detailed feedback for artists and more efficiently collaborate with clients. “We’ve had a few cineSync sessions with MPC and our client together in the same session. It was such a huge advantage to have all three parties looking at the same footage in real time,” says Borysov. Beyond The Predator and Welcome to Marwen, Atomic Fiction has a busy slate ahead of it, including work on 2019 sci-fi film Ad Astra (starring Brad Pitt) and season three of Netflix’s hugely successful Stranger Things. No matter what exciting opportunities emerge for Atomic Fiction, the studio intends to have cineSync on hand to aid with remote review and collaboration, while keeping the entire team engaged in the creative process. Simply put, cineSync is an integral part of their workflow. “The ability to see things right away, compare shots, and draw on-screen is absolutely crucial across all projects. It’s such an important part of our day-to-day,” avers Borysov.